Superdry men’s Lucky 8s all over print CNY sweatshirt. This sweatshirt has been inspired by the celebration of the Chinese New Year. This sweatshirt features a crew neckline, a super soft brushed cotton lining and ribbed trims throughout. 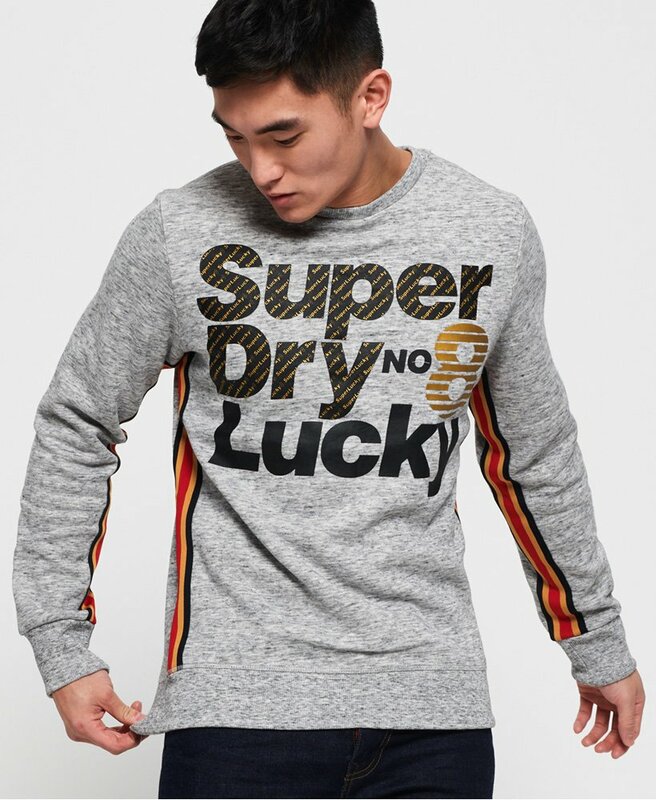 In addition, this sweatshirt also has striped tape detailing down the arms and side seams and a large textured Superdry logo on the chest. To complete the look, pair this with the CNY joggers.